WORKPLAN schedules your projects and jobs based on set priorities and availability of resources. You can perform forward looking, backward looking or period simulations. 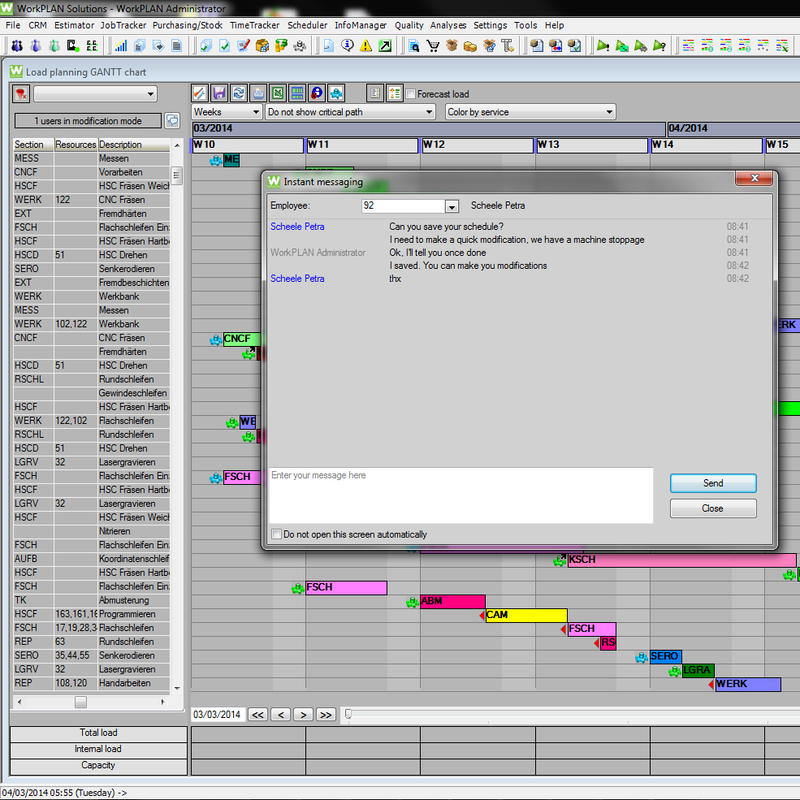 Next, use WORKPLAN’s GANTT charting to optimize your workload reduce bottlenecks, control milestones and meet due dates. 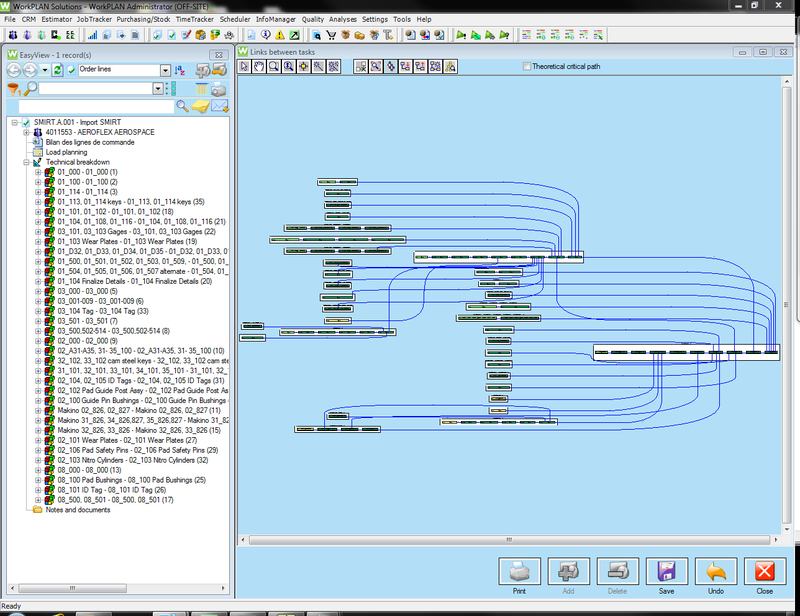 WORKPLAN includes an easy to use drag and drop graphical tool to set routing order and create workflows. 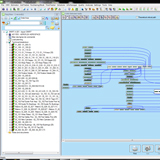 These workflows can be simulated forwards, backwards or for a set period based on project due dates. You can also set various internal due dates, to ensure tighter management and provide a buffer in your workflow. 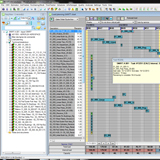 WORKPLAN automatically generates a resource load planning schedule, which takes into account existing available capacities. 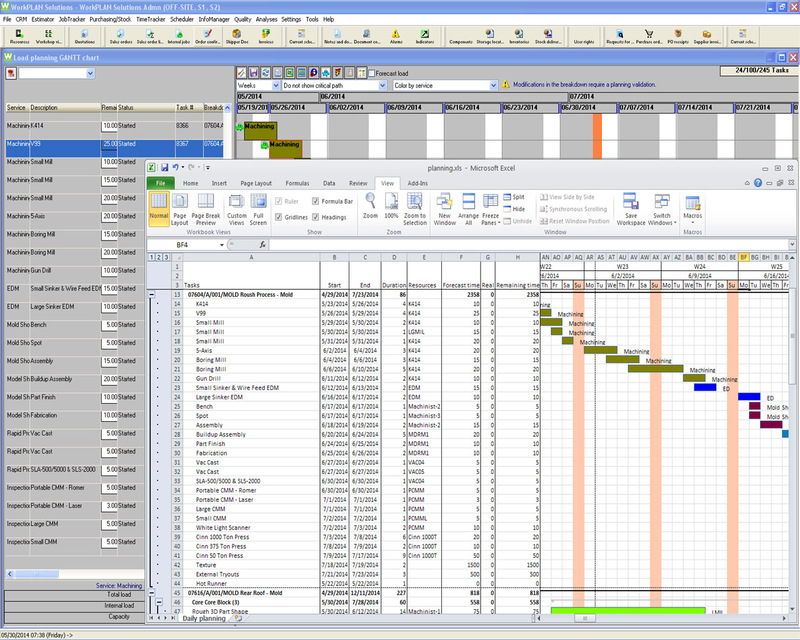 View the workflow in standard GANTT charts for easy viewing and quick updates. 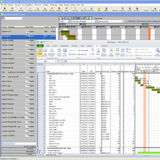 Output your data to Microsoft Project or Excel. 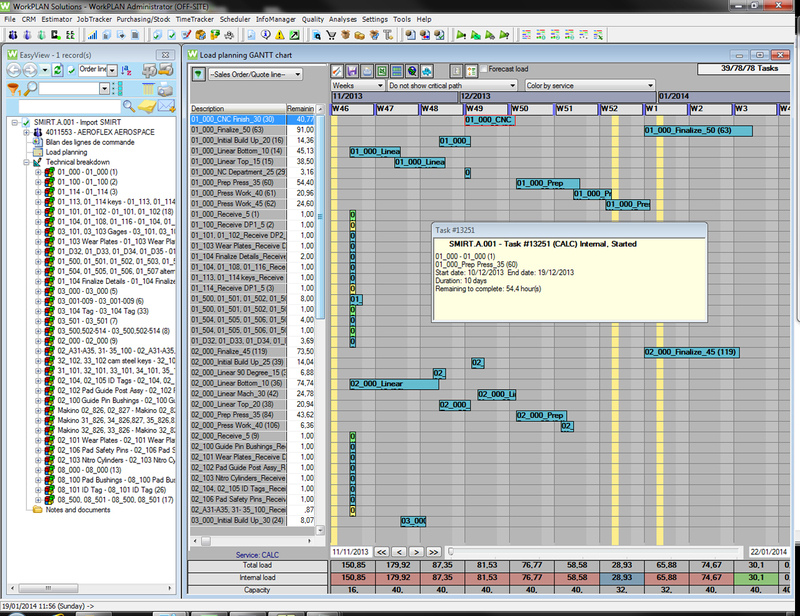 To keep manufacturing running smoothly, WORKPLAN Scheduler enables you to define appropriate time slots for manufacturing based on scheduled available resources. You can adjust the time range and analyze the effect on the load in the department as a whole or on each individual resource. 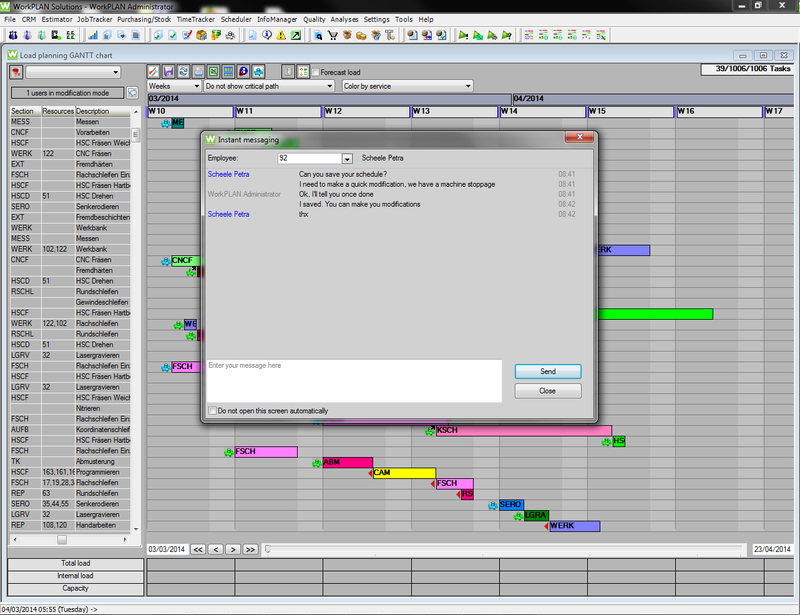 Via simple drag and drop functions, you can move, edit or even split tasks, to avoid capacity issues before they arise. WORKPLAN allows you to create information markers on all of your important milestones and dates. This allows you to easily see upcoming deadlines for deliveries, staged payments, meetings or other important project steps.